U.S. Army 1st Sgt. Tracy S. Lahr recommends Academy’s online courses to military members who serve overseas. U.S. troops protect our country from threats around the world, yet they face many other concerns of their own in and outside of combat. One thing they will not have to worry about anymore at the United States Sports Academy is whether they can afford a college education. The Academy’s Board of Trustees voted Friday to slash tuition by nearly one-third for active-duty military men and women and those in the “Wounded Warrior” program. The tuition cut will take effect July 4, 2011. “Our brave men and women face enough threats already abroad and at home and they should not have any qualms about how to pay for their education,” said Academy President and CEO Dr. Thomas P. Rosandich. The Academy has a long record of being military friendly, helping many service men and women earn degrees and certifications, even while serving in Iraq or Afghanistan. Military members often comment that their time is filled with either terror or boredom. Hundreds have filled their time away from the frontlines by getting their education at the Academy because of its innovative technology that makes its courses available online to anyone, anywhere. U.S. Army 1st Sgt. 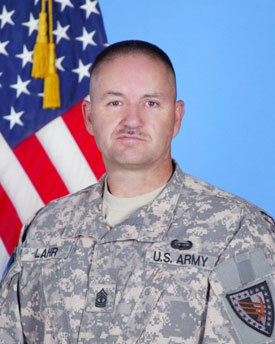 Tracy S. Lahr completed his Sports Performance courses in January, while serving in Kuwait. His battalion commander asked him to explain the Academy’s programs to all the other soldiers who were serving there during United States military operations in Iraq. However, getting a higher education is difficult for many who are serving amid the current economic crisis. Military members are struggling to provide food and shelter for their families. Record numbers of military families are relying on food stamps, with their use jumping 135% from 2008 to 2010. There is a military housing shortage, plus a mortgage assistance program for service members faces a $400 million budget deficit by the end of this year. Even before the recession hit, the latest Department of Defense report in 1999 found that 40% of lower ranking soldiers faced financial hardships. On top of all those problems, the cost of a college education reached its highest levels ever. Tuition and fees are far outpacing the middle class median income. The cost of higher education surged 130% in the last 20 years, while earnings actually declined by $400 a year. In Alabama, tuition at the University of Alabama system’s three campuses is jumping 7.9% to 8.9% for in-state students and 6.8% to 8% for out-of-state students next year, while two-year state colleges are increasing tuition 16%. The Academy, known worldwide as America’s Sports University, is reducing its Bachelor of Sports Science tuition for the military from $1,060 per course to $750 per course. U.S. Marine Corps Gunnery Sgt. Vince Gonzales said the tuition reduction makes a big difference in his budget and that of other young Marines. He had estimated before the tuition cut took effect that he would have to spend about $3,000 out of pocket to complete his bachelor’s degree in Sports Coaching at the Academy. Active-duty military will be able to earn the Academy’s one-of-a-kind undergraduate degree. Courses are 100% online and accessible 24/7, making it flexible and convenient. In addition, the Academy’s innovative technology permits rolling enrollment, which allows students to start a course anytime from anywhere. To enroll in the Academy’s upper-division bachelor program, students can transfer in a minimum of 30 and a maximum of 90 semester hours of college credits or already have an Associate’s Degree. There are three majors: Sports Coaching, Sports Management and Sports Studies, with a new emphasis in Sports Security. To learn more details about the program, visit www.ussa.edu/go/bachelors/. The Academy is also extending the tuition reduction to those in the U.S. military “Wounded Warrior” program. Currently, the Academy is working with the program to deliver its online sports-specific education to military personnel, who are ill, wounded or disabled from post 9/11 overseas combat duty. The Academy hosted members of the Joint Chiefs of Staff’s Warrior and Family Services Program in August 2010 to begin providing its courses. In 2007, Dr. Rosandich met with the Secretary of the Army to visit the Walter Reed Medical Center in Washington, D.C., and to meet with young, wounded American troops, many who were missing arms and legs from fighting in Iraq and Afghanistan. In August 2007, the Academy Scholarship for Wounded Warriors was created and Dr. Rosandich kicked off the scholarship fundraising drive with a personal $150,000 donation.